Since 1985, our locally owned and operated company has continued to expand in order to meet the growing demands of the industries we serve. 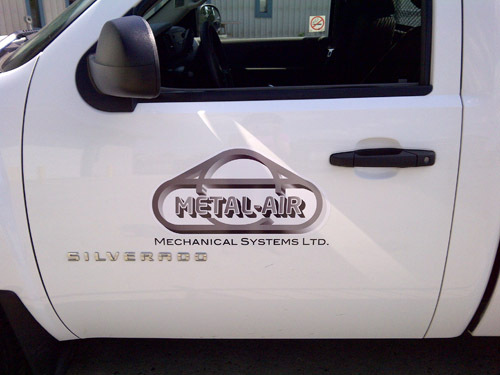 Metal-Air Mechanical Systems Ltd. is a Greater Sudbury based mechanical contracting company which services the industrial, commercial and institutional markets. 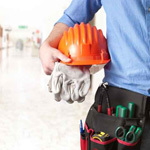 As a multi-disciplined contractor, we offer a variety of services to our customers, such as: heating / ventilation / air conditioning / refrigeration, ammonia, sheet metal fabrication and installation, mine ventilation, plumbing and pipe fitting, electrical and building automation systems. Our 15,000 square foot fabrication facility allows us the ability to effortlessly fulfill all of our customers’ necessities without having typical wait times or delays. Our wide variety of modern equipment gives us the advantage that we need to execute in every circumstance. There are no projects too big or too small as we have qualified and trained employees which allow us the opportunity to diversify in all areas throughout Northern and Central Ontario. On a daily basis, our team members demonstrate their dedication to the company and its customers by aligning the company values on each and every decision. More so, our diverse group of support staff stand behind our crews to help deliver quality, on-time products and services to all of our customers. Our team atmosphere is transparent through all of our transactions and this aspect is what places us ahead of the competition. Metal-Air is continuously growing and expanding to meet our customers’ expectations for quality, service and integrity. We value all members of our team and are committed to providing opportunities for each employee to reach their full potential in an environment that is safe and respectful. Would you like to join our team? Click on the ‘Careers’ tab in the heading. We look forward to hearing from you. I have been using Metal-Air Mechanical since 1992. During this time Metal-Air has worked on numerous new construction and commercial renovations as well as multi-family residential projects for me. I have always found that right from management to field staff they have bent over backwards to provide quality, service and have never held me up on any projects. In addition because I only work on my own buildings, Metal-Air has always been more than helpful in seeking out cost savings wherever possible. I have also used Metal-Air exclusively for service on all units during this time. Service is always prompt and the service technicians are extremely well trained at problem solving. I highly recommend Metal-Air for any HVAC and ventilation work and will certainly continue to use them for the foreseeable future. Copyright © 2015 Metal-Air Mechanical Systems Ltd.